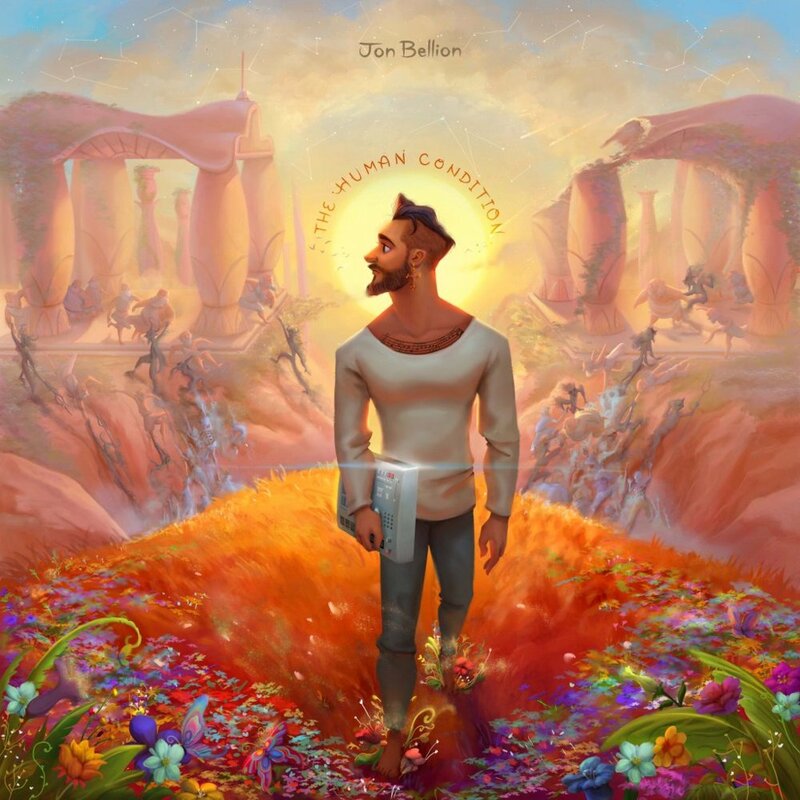 Jon Bellion’s Twitter bio is just his website, and his location is simply “Beautiful Mind.” Usually this would be pretty ballsy and a little overwhelming, but Bellion has the proof to back it up, as evidenced in his second and most recent album The Human Condition (released June 2016 via Capitol Records). One song that specifically sticks out is the 11th track, “Morning in America,” where Long Island native Bellion speaks about his personal experience in high school. With lyrics such as, “1600, 1600, 1600 on the SATs/Said they gettin’, said they gettin’/Said they gettin’ me an SUV” is a reference to the average score of the SATs at the time he was a senior in high school, and since Bellion was a poor student with a 1.3 GPA, his parents promised he would receive a car if he could at least get an average score on the SATs… and the rest of the introductory verse, “Pour a little liquor in my Starbucks Venti/Just 11, just 11, when they said I had the ADD” alludes to the drug abuse that will be referenced throughout the song, and a reason why we keep jumping back and forth from topics, even though they all relate to his high school experiences. Even more attention is brought to that lyric, as there’s usually a short bridge between the verse and the pre-chorus, and then another short bridge between that and the chorus. Beyond Bellion’s high school struggles, “Morning in America” is also synonymous with other problems he faced. Struggling with ADD is not only referenced straightforwardly, but it’s also subtly written into the lyrics. Bellion will jump topics within verses — from aiming for a 1600 on the SATs, to camouflaging his liquor by putting it in a Starbucks cup, and passing it off as coffee. He also makes it relatable to anyone who faced the social and academic pressures of high school. Miraculously, this is one of the few songs on The Human Condition that is not about failed relationships. The record as a whole deals with things that everyone seems to go through at one point — it’s all relatable, which is what makes it a “human condition.” Most of us may not deal with drug abuse while we’re in high school, but we all deal with something. Bellion draws heavily on his past experiences, and that is consistent throughout the whole album. “Morning in America” really is a social code itself. It reveals how the stress of growing up takes a toll on average students and can severely affect their lives, and how growing up in environments where the “role model” figures turn to drugs in dark times can lead the children of the household to follow in those footsteps. Bellion alludes that it’s not just a problem for him at home, since he repeatedly addresses that it’s “morning in America,” signifying that it’s just another start to another day here in the land of the free. In that sense, Jon Bellion’s allusion to America is ‘pessimistically patriotic’. Jon Bellion went through a lot during his high school years. Although drug abuse isn’t something everyone has experience with, to get through high school, we probably all overdid something. The stress of having to fulfill others’ expectations takes its toll on even the strongest individuals. To some, that impact persists long past high school; for others, their temporary scars heal with time and personal development. Nevertheless, “Morning in America” reminds us all that we are not alone in our experiences; that at some point, all of us are out of control and faking.